We are delighted to announce our first special event for Spookscreen 2019. 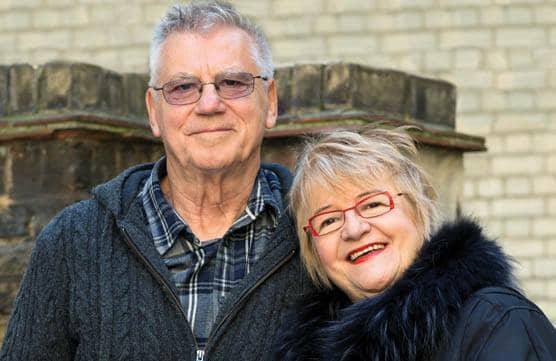 Spookscreen will be joined by casting directors Ros Hubbard, John Hubbard and Mary Maguire who will be combining their talents to offer a self tape and audition workshop. Ros has been involved in casting some of the biggest Hollywood blockbusters such as; The Mummy, The Da Vinci code, Dracula Untold, Lara Croft: Tomb Raider and over 100 other films. John has been a casting director on some of the biggest films on the planet such as: The Lord of the Rings trilogy, The Hobbit trilogy, the Jason Bourne franchise and many others. Mary has been involved as a casting director for projects such as Father Ted and Omagh as well as working in the casting department on many other TV shows and feature films. With their combined experience in casting some of the biggest films around this is truly going to be a workshop any actorwill not want to miss out on, where you can learn some invaluable insights to help you get cast in the roles you want. We are thrilled they have all committed to Spookscreen and this is the first of what we hope will be some very special announcements in the coming months. Venue, dates and fees for the Workshop will be given in due course. 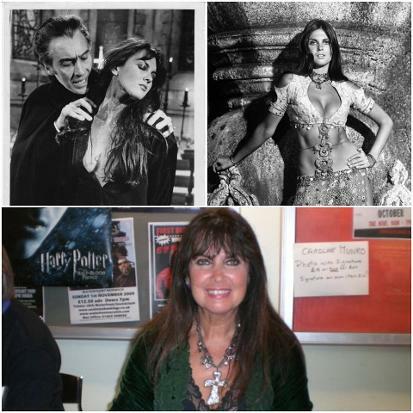 We're delighted to announce another Hammer Horror legend and Bond alumnus will be joining us for our second year, the wonderful Ms. Caroline Munro! Known for her work in "Dracula A.D. 1972", "Captain Kronos- Vampire Hunter", "The Golden Voyage of Sinbad" and "The Spy Who Loved Me" Caroline is an icon of blood soaked British film and is currently at work on a new horror in the same frightening vein with the upcoming "House of the Gorgon". We're excited to welcome her to Cork City next year for our Spooky September celebrations! We are pleased to announce that throughout the festival we will be holding a horror Photography Exhibition from the Canadian Dark Themed Photographer Melissa Trotter. We are extremely lucky to be able to hold what will be her first Irish Exhibition as Part of Spookscreen. Melissa Trotter is a horror and dark themed photographer from Edmonton, Alberta, Canada and is the owner of Stolen Innocence Photography. She began working in film as a screenwriter and composer and randomly picked up photography in as a way to generate funds to make more films. Bouncing quickly from landscape to lifestyle, she then found her passion and home in alternative, dark beauty, surrealism, and horror and began to concentrate solely on her photography projects. Her work typically consists of concepts featuring a juxtaposition of innocent subjects in sinister settings and for this reason, children are featured quite heavily. As a self-taught artist, she is constantly learning and honing her craft. A finalist in the 2017 Fear Awards as Horror Photographer of the Year, her pieces, most notably "Blood Dress," "Slender Man" and her Stephen King's It-inspired series, have garnered millions of views, have been published in several magazines, and are featured in private collections worldwide. Currently, she is working on several large projects including an ongoing collaboration with Rutherford Manor and a book with abandoned places photographer Freaktography in addition to continuing to create her own unique concepts.